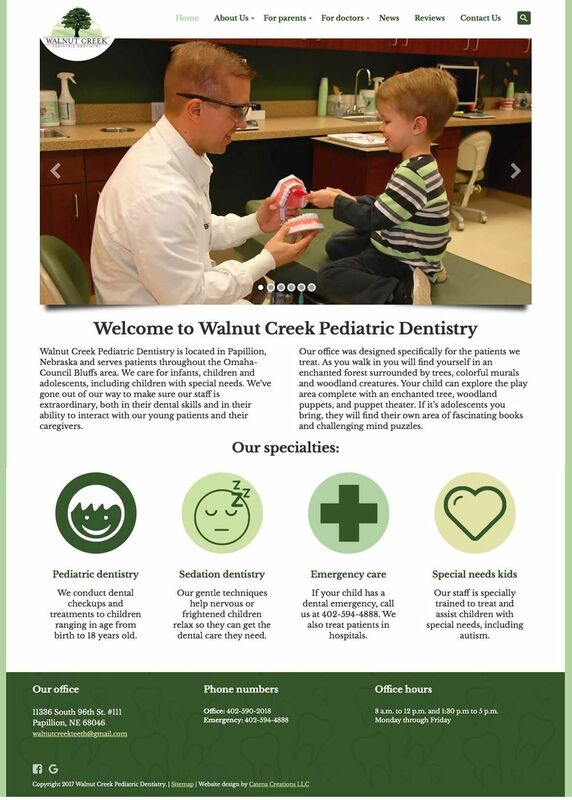 When Catena Creations updated the Walnut Creek Pediatric Dentistry website, we took it out of a subscription platform and rebuilt it in WordPress. This gave us the most flexibility for design, photography and search engine optimization. We chose a child-friendly theme that easily incorporate the practice’s forest decor. News from Facebook and reviews from Google and Facebook are automatically displayed as they are posted, keeping the site current. We also took new staff and office photos for the site. Catena Creations continues to maintain the site for Walnut Creek and assists with updates as needed.